I have to admit I really enjoyed reading Killers of the Flower Moon. It will probably make my top books of 2018. Multiple people have been telling me how great this book is, and now I must say this is a great book too. It is well written and has a fascinating story that is almost so bizarre that it sounds like fiction. But it is true. 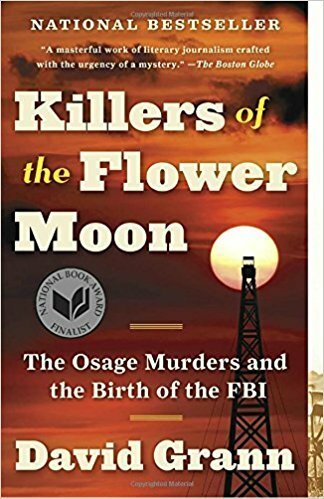 I not only found it interesting to learn about the Osage Indians, but I also liked reading about the FBI back in those days and how they figured out this case. I highly recommend this book for history lovers and those who love good mystery books because this is one.